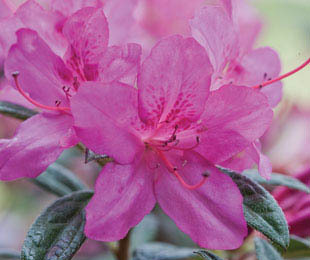 Description: Autumn Amethyst™ Rhododendron has vibrant purple flowers that grow 50mm in diameter. It has a dense spreading habit with shiny green foliage which colours purple in winter. It repeat blooms in spring, summer and autumn, and flowers heavily in autumn and spring.